The buildwagon hololens library contains a set of components that will help you jumpstart your development process. The buildwagon Hololens viewer is an app to view the result of your development instantly on the Hololens or on your browser, no need to build or deploy. Your code is hosted on the cloud, which allows multiple developers to collaborate on the same project from different locations around the globe. You can quickly get started with the development on buildwagon by using ready made components. 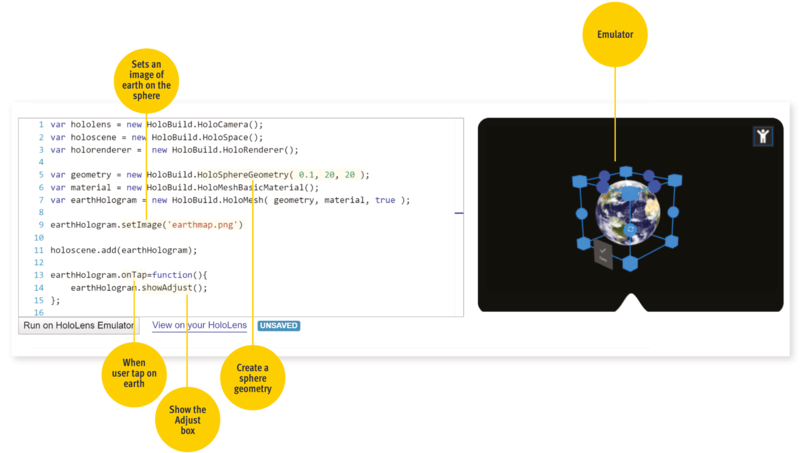 Our Hololens development library, holobuild, provides you with ready-made components to expedite your creation process and gives you access to Hololens special features. We live in a world where time is the most precious resource of all. You can now cut through the hassle and realize your visions in no-time. No need to build or deploy. Start the buildwagon viewer app on the Hololens, enter your project address, and click go. Your hololens buildwagon project will launch on your hololens. If you update your buildwagon project code, just bloom on the hololens and press "go" again on the buildwagon app for the updated code to launch again. A use case demonstrating the buildwagon hololens development capabilities. Join hundreds of satisfied developers using our hololens development platform globally. I am mainly developing web applications, that's why I like buildwagon very much :) The user experience is very smooth. buildwagon allows me not to worry about the machine capability for the development tools. Here we do not download anything, we just need a pc with a web browser. 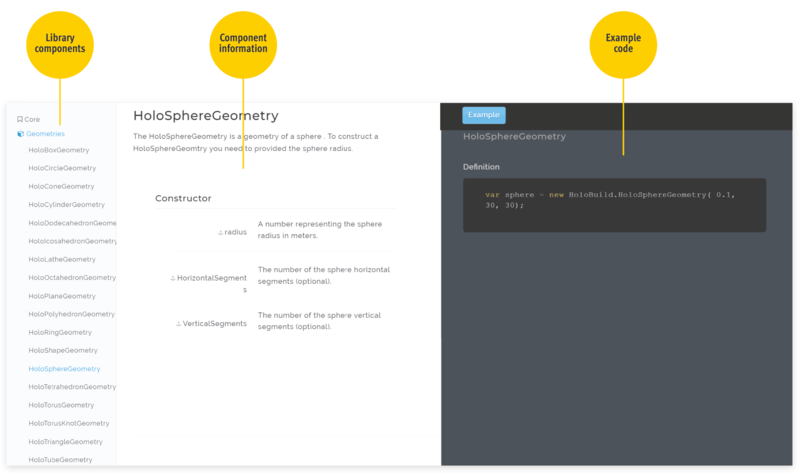 The documentation is quite easy to understand. We created the buildwagon platform to help us develop for the Hololens, we thought it might help you too. Microsoft Hololens is the first self-contained, holographic computer, enabling you to engage with your digital content and interact with holograms in the world around you, in what is described as mixed reality experience. 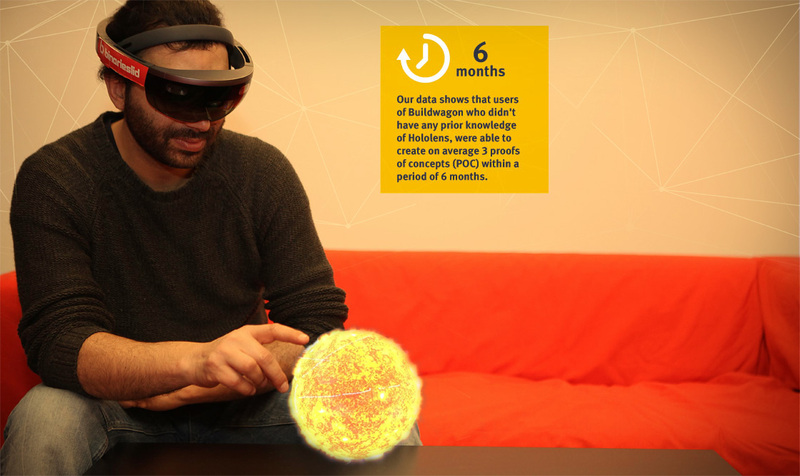 As technology pioneers, we wanted to create Hololens applications and be among the first to experiment with the new technology, but we realized that the process was costly, time consuming, and complicated. So we made it simple and fast. 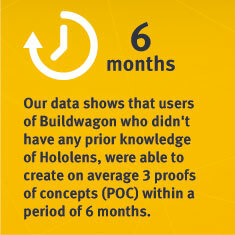 buildwagon allows you to create and experiment with Hololens solutions in a timely manner. Our clients, are now creating and customizing their own Hololens solutions, and putting it to market within days. There is almost no learning curve to get started developing on buildwagon. You can start developing on buildwagon using any computer that can run a browser. You don’t even need a Hololens to get started on buildwagon. You just write your code on buildwagon and check the result on the Hololens or your browser instantly. With buildwagon you can benefit from a short develop-build-test time. You gain all the benefits of the web when developing with buildwagon: making your application searchable, linkable with low friction no installation required. You can share your buildwagon built app with anyone by sending them just the project link. With buildwagon you have actually a support line: the people who built the platform will help you with your development problems. You have less things to worry about, as the buildwagon platform is built for Hololens development in specific. Buildwagon is not a generic game development platform which means it has smaller base code, and a lower memory usage compared to other engines. Amazing Hololens applications are being built with buildwagon. Get started on your own with our growing collection of examples. Got a question? We've got answers. If you have some other questions, see our documentation or contact us. What programming language do I need to know to develop Hololens apps? How do I run my code on a Hololens device? We provide a Hololens application that will allow you to browse to your project from within the Hololens (buildwagon app). You can also package your code into your own Hololens application (buildwagon Packager Feature). What is the Hololens development recommended specs? For our Hololens development environment, there are no minimum requirements in terms of system specs. Any computer that can run a browser supporting webGL test here. How to develop for the Hololens on a Mac? 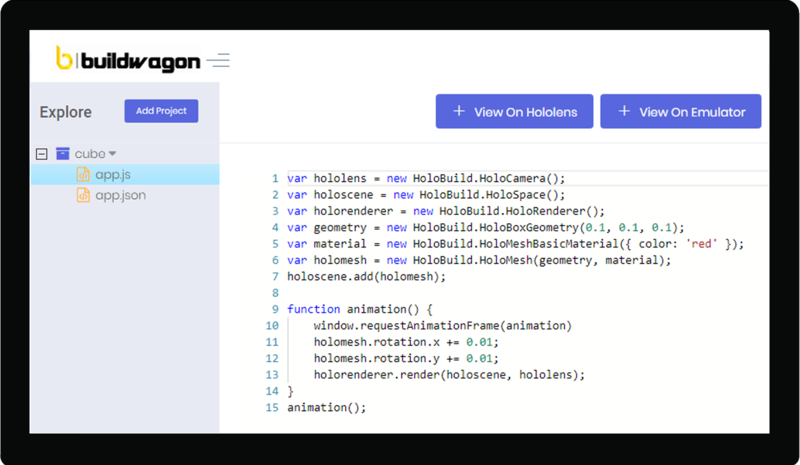 The buildwagon Hololens development environment enables you to develop for the Hololens just with a browser, you will be able to develop on a Mac. How to learn Hololens development? The easiest way is to follow the Hololens development tutorial. Which cloud service is buildwagon using? Where can I check for the most common Hololens Use Cases? I have other questions about the Hololens? Join over 100 developers that trust us. Try buildwagon yourself free. No credit card required! © 2019 BinariesLid LTD. All rights reserved.